Marketing Digital Consultant with 7 years digital experience, music writer and bassist. Loves turning brain dumps into actions, supporting startups, trekking on horseback in Iceland and Lizard the cat. Sarina Quinlan from The Fetch Brisbane recently caught up with Chris Kettle in the UK, where he is about to launch Hungry Hero to the masses. What do you think of the Brisbane startup scene? There are great ideas in Brisbane and around Australia, but what I’ve seen is that people are too scared to try to get the money and then they’re really poor at presenting. Get on YouTube, check out all the Disrupt, TechCrunch ones, to watch how they present and you can get a really nice pitch out of that. Everything you want is online. Go and get it. Seth Godin’s Startup School is the best podcast on the planet. It’s free, there’s about 17 episodes and if you aren’t prepared to listen to that, then shut your startup down. What is your advice for entrepreneurs – especially in Brisbane? I’m a big believer in not starting until you’ve got the funding to do it. I started my first business with my credit card, and don’t necessarily recommend that – what’s nice is that you can get your minimum viable product out cheaper than ever. How did you secure investment? 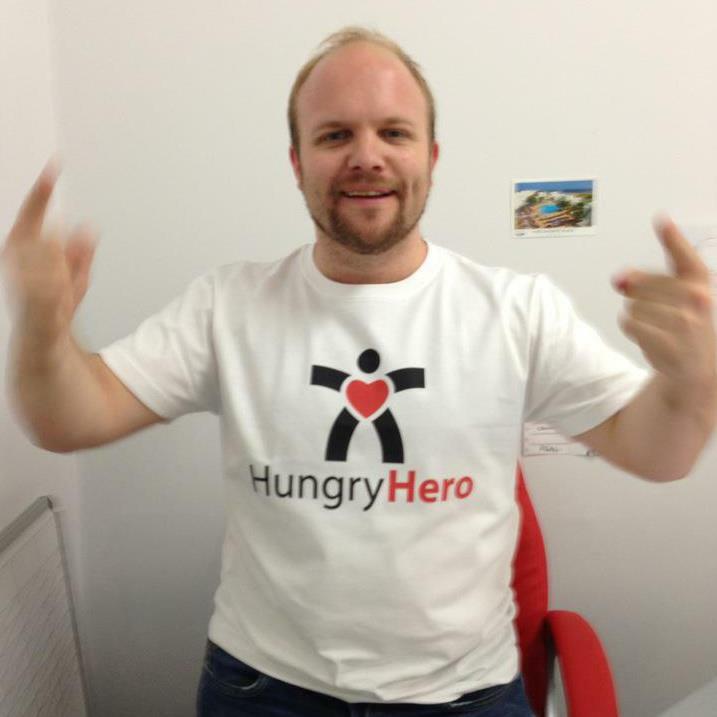 I already had an existing business, which has always brought decent cash flow, but for Hungry Hero I wanted to raise funds again to do it properly. Hungry Hero’s a transactional model, which gets users to pay and so again we looked at high network individuals and that’s what we looked for in Brisbane. They’re not going to find you. So I got out there, used my contacts and found an investor and we were able match their funds with Commercialisation Australia. For proof of concept, it’s fifty-fifty funding. Their mandate is to keep jobs in the country. That means if you’re looking at outsourcing to India, like we were in the early days, then they help you to do it in-house. It’s a fantastic program to get funds – although you have to get funds first to be able to match it. What makes Hungry Hero different? There’s lots of similar things with discounts and offers, but what we’ve done is allowed the venue to have complete control. So instead of giving everyone a $10 lunch, they can use it as a filter. Venues have full control to add it to only customers that have been there before, or within a one kilometer radius. It’s sort of like giving the power to the venues to contact customers who are looking for somewhere to go. How many people are using the app? We’ve been into six figures for a while now and if we can get to a million before Christmas in Australia would blast our goal for this year. We’ve seen downloads across the world too. We have a nice little campaign feature on the app that in any city which they download it, they can tweet “Bring HungryHero to our city”, we’ve had people from Vancouver to Singapore, across Europe and Asia tweeting out to get HungryHero in their country. Now we have our version one model working in Australia, next, is how to scale this around the world without having to be there. What motivated you to develop Hungry Hero? The app was born out of the debacle of the group buying space. There was a lot of wrestling to run deals on living, social and Groupon. Businesses are giving up to $50 commission on these offers and it was costing them more than it was making them. There was a lot of false promises there, and it was a case of “how can we make a platform which allowed thousands of restaurants to add deals at any one time, and the restaurant is in full control.” That’s how the idea was born. How does it work for customers? There are a few different types of business models. If it’s and exclusive offer, a customer can simply pay a dollar to secure it. We’re just about to bring out Gold Memberships, which means you can buy a monthly membership that allows to access unlimited offers and exclusive offers. Gold membership will be five dollars a month. We think customers prefer to pay their memberships monthly. It will pay for itself instantly with a 2-for-1 lunch, or a free bottle of wine with dinner. How many venues can be accessed from the app? We have almost 600 venues across six major cities. Most of them are restaurants, but there are also entertainment venues, comedy theaters; it’s all about eating and drinking and going out. We’re very excited because we’ve just been one of the featured apps for Samsung for the new Samsung Wallet. When you make a booking or secure a deal, you can add it into your Wallet so that when you show up at the restaurant you just show them your phone. People want to have all these tickets and coupons easily accessible, and so that will be rolling out to eight million units in Australia. Tell us more about the Samsung Wallet connection. We’re one of the official launch partners. So it’s a link in Samsung wallet, which gives us exposure. There’s some really great opportunities working with Samsung and Apple, and I’d recommend any entrepreneur to be looking for them. That’s why I think we can get to a million users by Christmas. With these opportunities, we’re now looking at overseas markets and taking Hungry Hero to the UK and US. Why have you decided to visit Germany, UK and the US? Even though I’m a big believer that you can run your global business from Brisbane, there’s nothing like having your foot on the ground and seeing how the culture works. Every area is different, with location based deals. In Brisbane, when it’s wet, people don’t go out. Whereas in London when it’s wet, people don’t have a choice. So there’s different cultures and opportunities. So I’m going to go out there, put the feelers out, and see if we can build on the relationships we’ve got already. 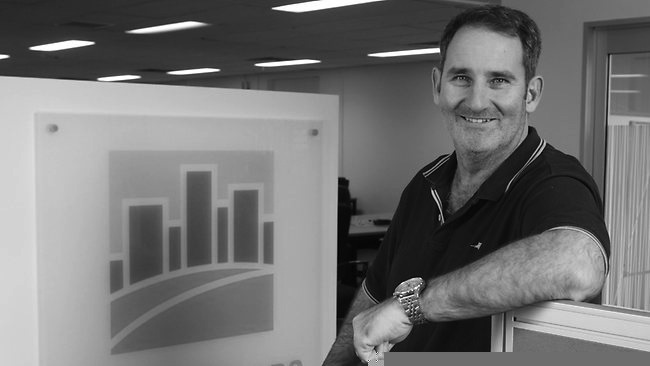 Steve Baxter has been responsible for pushing the Brisbane startup scene forward through his coworking space River City Labs and supporting global movements such as Startup Weekend. It’s never a rare occurrence for Steve to dip into his own pocket to help new tech businesses ﬂourish. The Fetch caught up with Steve about his new gaming ventures and his Brisbane perspective. What inspired you to open River City Labs? I have several investments, and after travelling to Sydney I saw a great example of getting support for entrepreneurs and helping them get started in an organisation called Fishburners. I came back to Brisbane and looked for Fishburners, and other similar organisations and they didn’t exist, so that was the start of it. I looked at doing it commercially as a full proﬁt business, but to be honest it’s not a big business. So I decided to launch the business, but with a bit more philanthropy involved. After that, did you decide to invest in the gaming space, or did you invest before River City Labs? The games were after River City Labs. The games side, with respect to Right Pedal Studios, is a different form of investment. It’s full proﬁt, an accelerator fund. We take advanced prototypes and we launch them into the market through funding, mentoring and production resources, in a reasonably fast way. It’s definitely different. How many games have you released so far through Right Pedal Studios? We just released the first game in late March. The game is called Dragon Season. It’s an endless runner game, which is currently available on the Australian Google Play Store. Hopefully in a few weeks it will be available globally on Google Play and the Apple Store. It’s been discovered by a number of people in China, even though we only released it to the Australian Android market, and it’s found its way to about thirty-four thousand installations. That was really very surprising. It wasn’t what we’d planned, but we’re now pursuing some Chinese producers, which is quite interesting. We also have one game out as a closed beta. It is due to come out as a world-wide release in the next few weeks. There are currently three others being worked on and we’re talking to another four teams about coming in. Have you seen any major shifts in the startup scene in Brisbane since you started River City Labs? Since River City Labs opened its doors last year (2012), there’s been a gradual shift. I’m actually a little disappointed with the startup scene in Brisbane. I spent some time in San Francisco and I travel to Sydney four times a month on average, so when I see the startup scene in Sydney compared to Fortitude Valley, it’s completely stark. It’s been a slow growth. We were half full six weeks in, and we were half full in November last year; we’re still at about 60-65% now. What do you think the Brisbane scene needs? It needs a lot more people to take it seriously; it actually needs signals from Government. There has been market failure with regards to tech startup in Brisbane. There are some really good businesses here, but when you look at the level of activity elsewhere you can see that we’re behind the eight ball. It needs serious local and state government help and support and if they want to do that, they have to be willing to spend the money. It’s embarrassing when Auckland, New Zealand, have a higher angel funding rate than anywhere in Australia. That is because of direct government intervention. How are places like NZ ahead? In areas like matching investment funds, they invest in meetings with successful and respected entrepreneurs from the US to educate local angel groups. This was directly linked to the absolute increase in startup activity. Do you think angel Investors lack direction, or does it take too long to get funding in Australia / people are more hesitant? Probably all of the above, to be honest. Had Australia given birth to Facebook or Google or something along those lines, it would be a different story. But if we don’t take the initiative, we’ll never make these advances. For example, in Brisbane there are three coworking spaces/incubators – in Auckland there are six. In the same year, Auckland recorded 45 Angel Investments per annum, while Brisbane had two. Auckland’s 40 venture capital investments trumped Brisbane’s 30, and the whole of Australia was only marginally higher at 72. Are Brisbane startups are having to leave and go to Sydney to try to talk to Angel investors? I am doing some work with the state government to try to prevent this. At some point in time, we have to actually understand that if this something we want to do, it’s going to cost to play. We are that far behind. It’s a tragedy. There are a lot of issues that we’ve got to work through. But first we have to want to ﬁx it, and put in the extra miles. Where should they be putting their energy: sales channel or online marketing? It depends on the type of business. There are a lot of businesses that are hesitant to spend money on sales and marketing yet still expect to gain the interest of investors. You need to do put in the effort and prove to investors that your business is a worthwhile prospect. What turns you oﬀ a startup? People or groups that generate an idea in the mobile tech sector, who don’t have the skills or knowledge to develop it, and expect investors to spend their money on a team to build their product. I believe in doing majority of the work yourself, and if you don’t have the knowledge or experience in the area of your idea, that you should take the time to learn and not just rely on others to do all the heavy lifting for you. What makes you decide that you want to invest in a startup? Teams. A good team can have a bad idea to start with, but will realise it’s a bad idea and change it. If the idea requires any creative and technical work build it, then you need a strong technical team. A lot of others will outsource, but it isn’t as appealing for investors. As for the business, the idea has got to be something that makes a splash. Technology has such great potential to have a huge impact, and it just takes the right idea to ;p the world on its head. Are you going to Sydney to scout for new startups or angel investors? Not really scouting, I already have 11 investments – I had 12 – which is too many. I would love to get back down to maybe seven or eight. Right Pedal Studios and River City Labs take up a fair bit of my time. Really what I’d like to do is less, and be able to spend more time with my 11-week-old daughter to be quite honest. I don’t at the moment. My hobbies are ﬁshing and ﬂying, of which I get to do precious little; and I’m sure that now with a young girl I’ll probably get to do even less. It’s surprising what can take up time in your day.